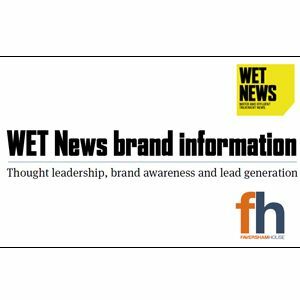 WET News is circulated every month to individuals in the water industry; civil engineers; process engineers; consulting engineers; the water utilities; water and wastewater equipment suppliers. WET News has a 100% requested or paid-for circulation. Latest reader research carried out by WET News publisher Faversham House Group reveals that it is actually read by more than 18,000 individuals. Please complete the form on the right to download our media pack now.